I’m Cheesin’ at BostonFest… Wheres My Wine? Thirsty Thursdays seem to be getting better and better as we’re squeezing out every last drop of sunshine out of this summer. On Aug 11th we spent our night at Boston Fest where we were able to hang out with fans and celebrate the announcement of Boston’s top 5 coolest companies. From live music, food trucks, games and a sea of company tents, there was always something grabbing your attention. 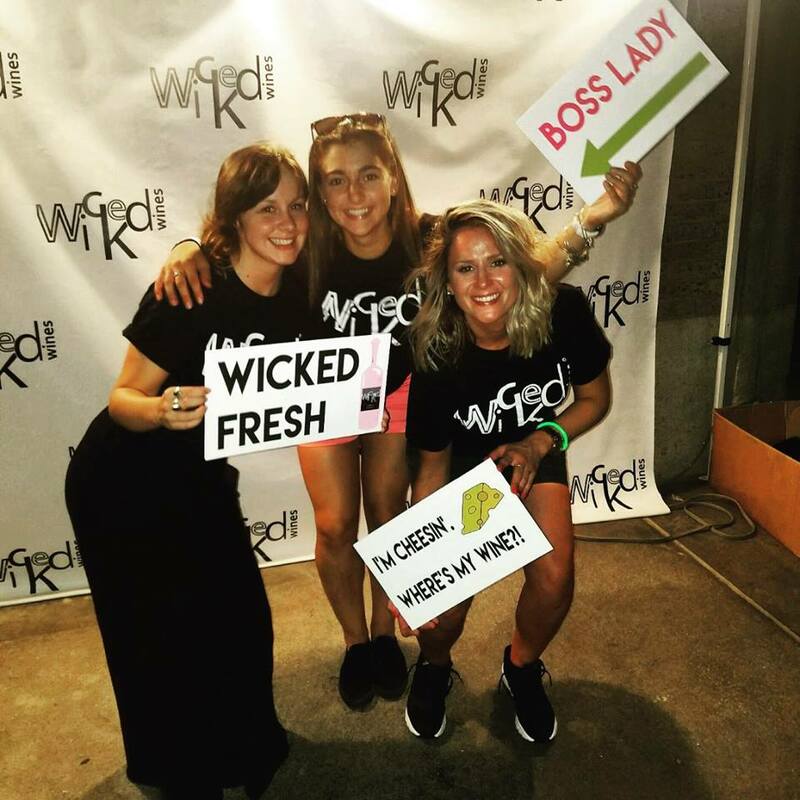 If you were looking for us, we were by the Harborwalk entrance near the center bar at our WICKED photo booth. If you stopped by the tent, you were entered to win a free company happy hour sponsored by yours truly! We had a blast (despite the heat and humidity) talking with our fans, handing out swag and snapping some photos for Instagram. [[Don’t forget to upload and tag us for another chance to enter into the drawing!]] Brightcove was handing out free socks, Whole Foods had a few tasty treats, VE had a wheel of prizes and we can’t forget the cold shots of delicious Vice Cream. Most importantly, BostInno worked to keep the drinks pouring all night. You could catch a glass of Wicked Rose, Wicked Pinot Grigio, Wicked Chardonnay, Wicked Merlot and Wicked Cab at all four bars. We even had a featured WICKED Rose Sangria (made with Polar Seltzer – our fave) that was to die for! Stay tuned for more event announcements and swag giveaways for your chance to be at one of these WICKED cool events for FREE! 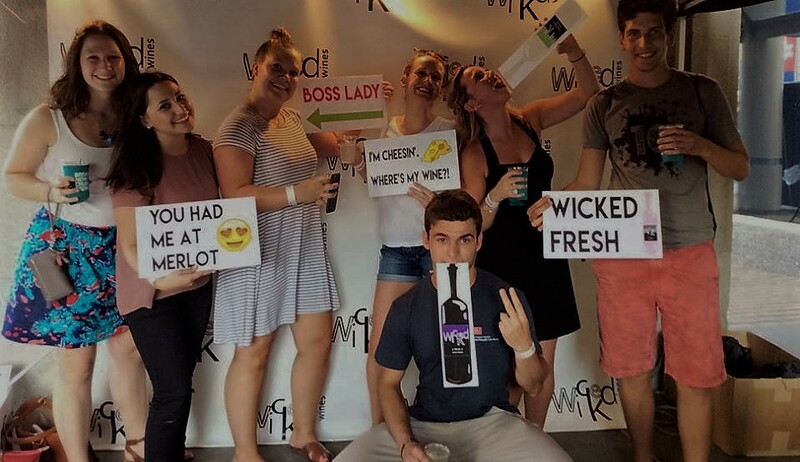 This entry was posted in Boston, Events, Thirsty Thursday and tagged Bostinno, Boston, Boston Events, Boston Fest, Coolest Companies in Boston, Global Wines Inc, Networking Event, Thirsty Thursday, Top 5 Coolest Companies, Wicked, Wicked Cab Boston Activities, Wicked Chardonnay, Wicked Merlot, Wicked Pinot Grigio, Wicked Rose, Wicked Wines, Wine. Bookmark the permalink.